Black Bean and Corn Soup – Nutrition.Health.Life. During the summer CSA we got a TON of sweet corn. I mean a ton – 12 ears per week. That is way too much for 2 people to safely eat. My routine was to roast all 12 ears in the oven the night we got them. I would save the number of ears I thought we could eat in the week and then remove the corn from the others. 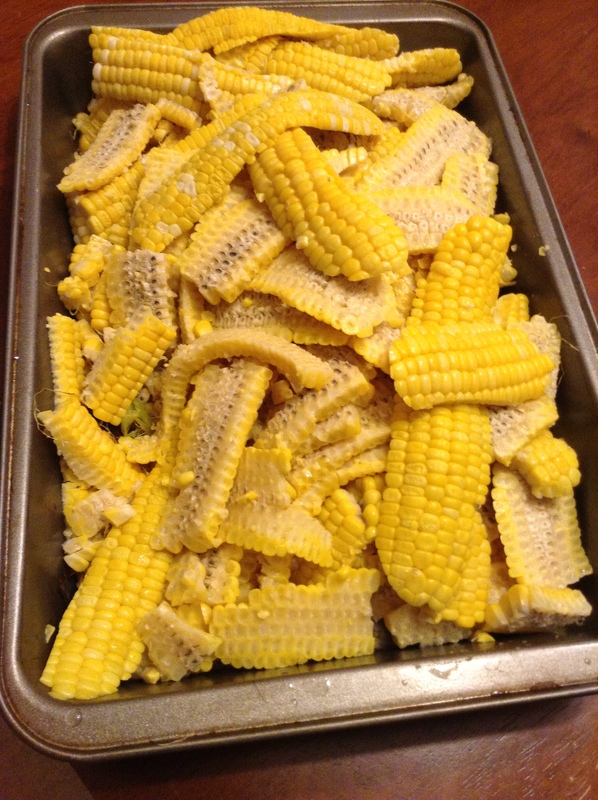 By the end of the summer, despite eating corn like it was going out of style, we still ended up with 3 gallon freezer bags filled with corn. When fall rolled around I decided it was time to start making a dent in the corn. Over the summer we also inherited a few gallons of tomatoes from my dad’s farm and a decent amount of hot peppers from our own garden (probably the only fruitful plants in our garden). What better to make with all of these items in the fall than soup! Pair that with a bag of dry black beans and you have a simple, nutritious, and filling meal. While you can use canned black beans (be sure to drain and rinse! ), I chose to use dry beans since that is what I had on hand. It is best to prepare these separate and in advance. If you don’t, you run the risk of excessive gas in your soup (and subsequently in you). You can remove the gas by soaking them in water the night before you use them. You can then add these soaked beans to your soup directly. If you do this, they may be firmer than you are used to, so another option is to cook them fully before adding them to the soup. If you like to cook them in the crock pot before using them, here is a great resource. What I did was soak an entire bag overnight, cook them in the crockpot (per the link above), and then used only what I needed for the recipe. The rest I put in a freezer bag and stored in the freezer until I needed them again. Cook on low for 8 hours or high for 4-6 hours. This entry was posted in Nutrition and tagged beans, CSA, freezer meals, slow cooker, soup, vegetables. Bookmark the permalink.